She was born Lilian Murray in Holloway in London in 1871, the daughter of a musician, and the third of eleven children. She was educated at the Camden School for Girls, and won a scholarship to the North London Collegiate School. 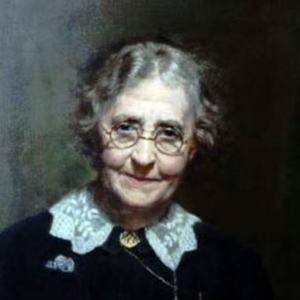 The founder and headmistress of the school, Frances Buss, informed Lilian that she would be suited to a career teaching deaf children, Lilian disagreed, and informed Miss Buss that she would become a dentist. Due to the argument, Lilian lost the scholarship and left the school in 1889. She met her future husband, Robert Lindsay, a member of the teaching staff, on her first day at the dental school. During her time in Edinburgh she won the Wilson Medal for dental surgery and pathology and the medal for materia medica and therapeutics in 1894. She graduated with LDS (Hons), RCS Ed. in 1895, the first woman to qualify as a dentist in the United Kingdom (others had previously travelled abroad to America amongst other countries to gain a qualification). She subsequently joined the British Dental Association in November 1895, the first woman to become a member. Report of Lilian Murray becoming the first female British Dental Association member as reported at the November 1895 Representative Board meeting. After qualifying, Lilian returned to North London to work until 1905, a move she had to make to pay off her debts. In 1905 she married Robert Lindsay and moved back to Edinburgh to practise with him at 2 Brandon Street. They continued in practice until 1920, when Robert was appointed the first full-time Dental Secretary of the British Dental Association. They moved to a flat above the BDA headquarters in Russell Square, London, and Lilian became honorary librarian to the BDA. She founded the library with books bequeathed by Gaddes, and contributed her own artefacts to start the museum. She learned French, German, Latin and some Old English and Spanish to help with her historical research. Robert Lindsay died in November 1930. Following this she became sub-editor of the British Dental Journal (BDJ) in 1931, a post she held for 20 years. She remained on the BDJ editorial committee until her death, and published 57 papers in the BDJ between 1925 and 1959. In 1933 she published her book on the history of dentistry. In the same year she delivered the first C.E. Wallis lecture to the Royal Society of Medicine, and later became President of the Odontological Section (1945) and History of Medicine Society, (1950–2) of the RSM. She was also President of the British Society for the Study of Orthodontics (B.S.S.O.) in 1938. 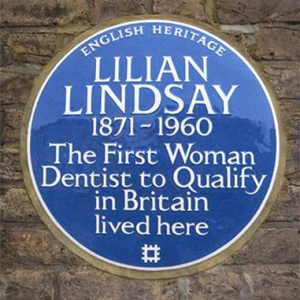 In 1946, Lindsay became the first female President of the British Dental Association, was awarded an honorary doctorate by the University of Edinburgh, and was awarded the CBE. She also published her translation of Pierre Fauchard’s Le Chirurgien Dentiste in 1946, the first time the landmark work had been translated into English. She continued to expand the BDA library until her death in 1960, and received a number of awards and honorary degrees during this time. Quite a remarkable lady I’m sure you‘ll agree. What our patients really think about Absolute Dental Rotten Teeth Will Haunt You!